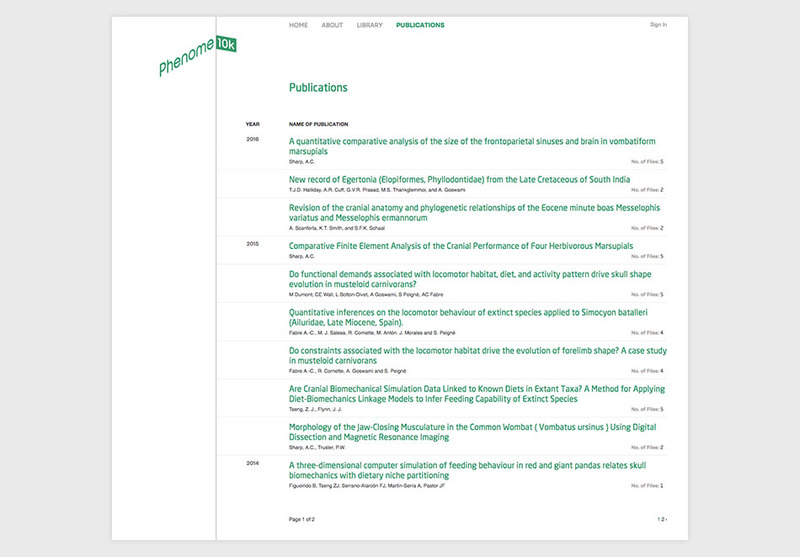 University College London approached us to create a website with highly specific front and back-end functionality for their new project ‘Phenome 10k’. 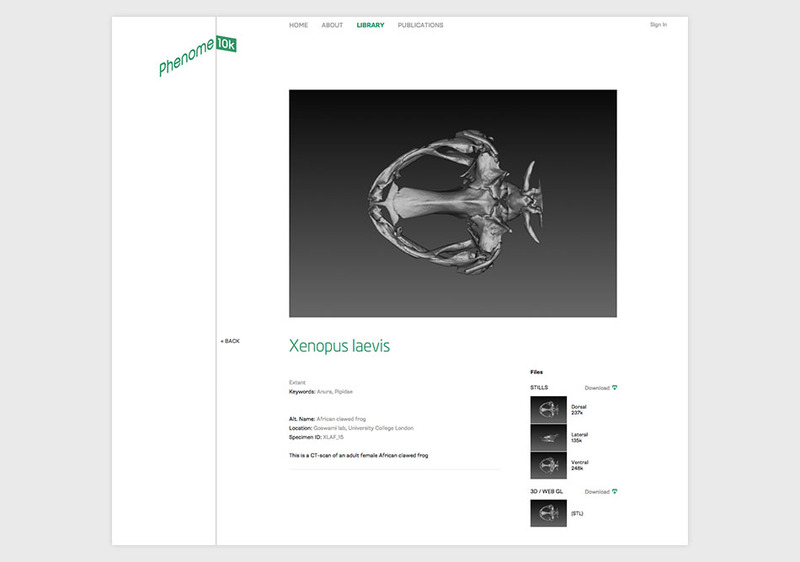 Phenome 10k is a free resource for academics around the world to upload, share and study 3D images of biological and palaeontological specimens.10k refers to their ultimate goal: to eventually hold 10,000 user-uploaded scans in its archive. Our primary challenge was to develop a front-end 3D file uploader that could process and convert multi-gigabyte hi-res files at speed. The academic and educational communities which use this site, from Europe and Asia to North and South America, (WAI? CHECK) work with a range of file formats – surface scans, CT scans and MRIs. To standardise the archive as it was being built, we developed a drag-and-drop interface which automatically generates a lo-res STL (3D render) of each uploaded file. It also allows users to take screen grabs of the rendered STL directly in the browsing window, to record or draw attention to a particular area, and add titles, captions, tags, related information, documents, publications and other metadata. 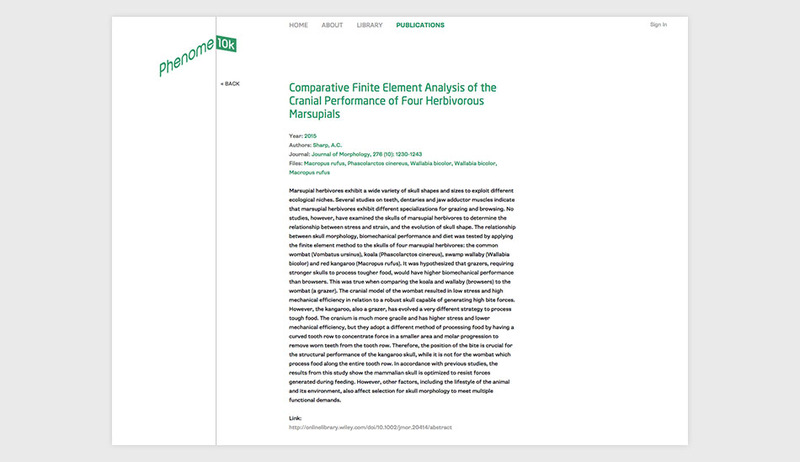 Users can view scans online as optimised lo-res versions, and can zoom, spin and capture high-quality screen grabs within the site. 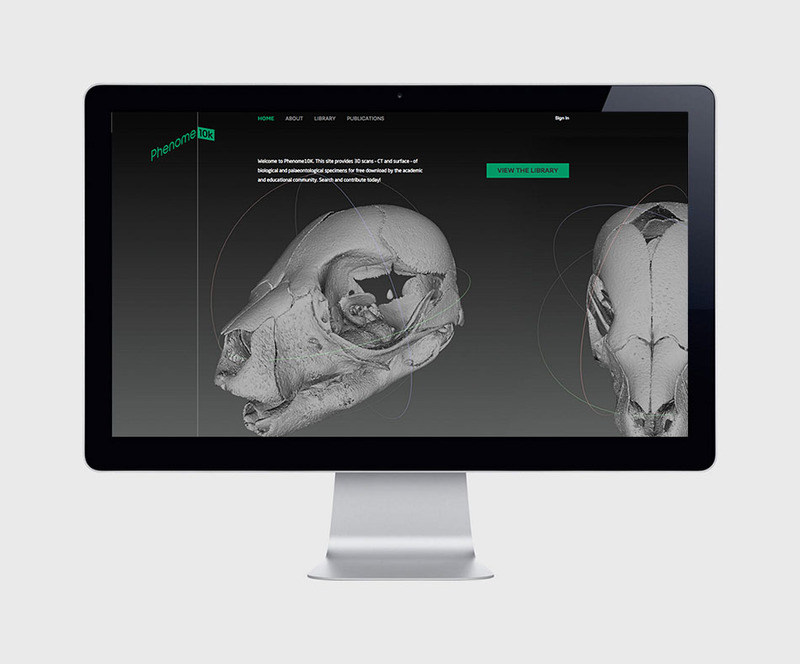 They can also download scans, automatically receiving not only the 3D STL file but also accompanying 2D views and pdfs of metadata and documents. The design of the site is as clean and clinical as a laboratory, for pure functionality and ease of navigation. 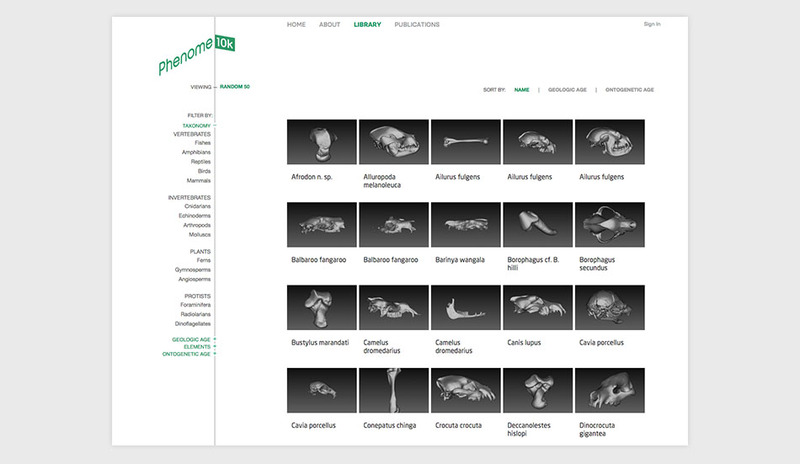 Scans can be filtered by age, taxonomy and other variables via the minimalist sidebar. The entry for a single scan contains a vast amount of detail, organised neatly into rows of thumbnails. The focus of each entry, of course, is the large preview of the STL, which even non-scientists will find enthralling to spin around and zoom in close enough to see every tiny detail.